Abuja Office Suite C10, EFAB Shopping Mall Annex, Area 11, Garki, Abuja, Nigeria. Consolidated Alliance, Abuja, needed an ICT Consultancy & Outsourcing firm to handle a highly technical work in their ICT department. They required a state of the art enterprise e-Commerce web application for bookings, invoicing, managing of hotels and bus companies locally and worldwide. PAS ICT Solutions untook the contract and delivered on it. Development of state of the art e-Commerce Platform using modern technologies. create and continuously improve the feature set and architecture of the application. Setup hosting servers and managment of subscriptions. Retainership / Continuous Marntenance and Updates. NIHOTOUR in partnership with Consolidated Alliance, both in Abuja, needed an ICT Consultancy & Outsourcing firm to create a backend/control panel for Consolidated Alliance e-Commerce, to create and manage Expression of Interest, to create a RESTful API which provides a comprehensive and statistical data analysis of all the hospitality and transportation companies. PAS ICT Solutions untook the contract and delivered on it. Development of backend/administration control panel Platform using modern technologies. Development of backend/administration control panel for data management. Administrative & Corporate Office 1, Warehosue Road, Tosland Plaza, 2nd Floor, Apapa, Lagos, Nigeria. Viko Nigeria Group of Companies, Abuja, needed an ICT Consultancy & Outsourcing firm to handle a highly technical work in their advertisement department. 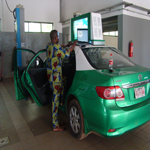 They required the installation of daylight readable LCD Display Systems ontop and inside their Abuja taxis. They required the LCD screens to display adverts to customers using its taxis. They also wanted a professional website for their group of companies with online ads serving and scheduling. PAS ICT Solutions won the tender and successfully completed and handed over the project. Supply of LCDs, mounts, brackets and enclosures. Supply and installation of a structured cabling network. Installation of cable and configuring new and existing LAN extensions. Installation of monitors and Viewers. Installation and config. of Windows Server 2003, MYSQL. Installation and configuration of PADS viewer on the viewer PCs. Testing and commissioning of the project before handover. User Training and support of the system. Administrative & Corporate Office Miserete, along Biblotheque Nationale, Ouando, Republic of Benin. Satelite Campus Maryland, Lagos State, Nigeria. 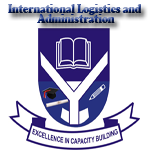 St. Luois African University needed a professional website and approached PAS ICT Solutions for consultancy services. We did not only provide a professional consultancy service to them, we reflected our professionalism in their website. PAS ICT Solutions successfully completed and hosted website. Testing, commissioning and hosting of the project before handover. Continuous website maintenance and updating. Administrative & Corporate Office Cassidy Bus/Stop, Okokomaiko, Lagos. The challenge that especially occupied Merit Diagnostic Centre and worried the GMD/CEO greatly was the fact that Merit, due to their busy location, was booming with clients and customers but surprisingly, their turnover was too poor. Now, coupled with the fact that the GMD was not present as he was coronated King of Ondo Kingdom, which made him to relocate permanently to Ondo State. It had also become practically impossible for Merit to track, control and monitor each of the different customer requests. It was taking Merit Diagnostics Centre too much time and money to manually write receipts, record transactions, create and deploy reports as required for each customer. They had very poor and ambiguous price list. They didn't have up-to-date and standard office gadgets. PAS ICT Solutions was just the solution that Merit Diagnostic Centre required. PAS ICT Solutions seamlessly established a complete Billing/Receipting System for Merit that enables them to track and record every payment/procurement process including collection of patients' balance payments automatically. Progamming of a customized cash management software. Testing, commissioning and installation of the project. Continuous software maintenance and updating. 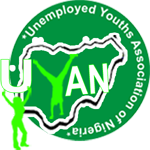 UYAN Headquarters 17, S.O Williams Street, off Anthony Enahoro Way, Utako District, FCT-Abuja, Nigeria. The Youths Association needed a database driven website with all the features found on social media like facebook, naijapals... and thus approached PAS ICT Solutions for ICT Consultancy, Web Development and Hosting. PAS successfully developed and hosted the web application before handing it over to UYAN. Web Development and Logo Design. ICT training services and ICT Hosting. Data archiving and security services. AWAMA Headquarters ASWAMA Administrative Block, Government House, Awka, Anambra, Nigeria. 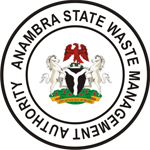 Anambra State Waste Management Authority needed professional ICT Consultancy firm to help build a Database Management System to collect customer data, store and generate ID and print demand notice for their customers. They also needed a corporate website and a stable host with atleast 98.9% uptime. They approached PAS ICT Consultancy and we undertook the tasks and were able to carry out the services without causing any stopgap in their workflow or downtime to their website and emails. Internet edge firewall installation, configuration and maintenance. Head Office Administrative Block, Government House, Imo State, Nigeria. Imo State Ministry of Environment consulted PAS ICT Consultancy firm to help build a Database Management System to collect customer data, store and generate ID and print demand notice for their customers. They also needed a corporate website and a stable host with atleast 98.9% uptime. We undertook the tasks and were able to carry out the services successfully. PK 11, Seyve Cotonou_Est, Republic of Benin. Centre for Peace Initiative & African Integration is a Research Institute based in Republic of Benin and one of the leading Research Institute in Benin as a result wanted to move its services online. They approached PAS ICT and we were able to design a state of the art website in addition to provision of other ICT & Networking services. Mill Bank Hall, Km. 4, Lasu-Isheri Road, Agboroko Bus/stop, Iba Ojo-Lagos, Nigeria. International Logistics and Administration needed a wesite, email and hosting services. They consulted PAS ICT Solutions and we gladly helped them in creating a web presence for them. We completed the task successfully and handed over to ILA. Provision of email hosting services. Setting up of Google Apps accounts. Setting up of Microsoft Outlook accounts. Client's Name College of Education, Warri, Delta State, Nigeria. Administrative & Corporate Office P.M.B 1251, Warri, Delta State, Nigeria. Affiliated to Delta State University, Abraka, Delta State, Nigeria. Biometrics Fingerprints Design, Development and management. Database design, implementation and management. Testing and launching of first phase of the project before handover. Continuous application/database maintenance and updating.